Make sure the visible part of the apron is not bent, cracked or broken. Check that the entry door is not damaged, operates smoothly and closes securely from the inside. Check that entry door glass is clean, not cracked or missing. The entry steps must be clear of debris/snow-ice and the treads cannot be loose or worn excessively. If equipped with a handicap lift, look for leaking, damaged or missing parts and explain how lift should be checked for correct operation. Lift must be fully retracted and latched securely. On school buses specifically, which of the following should be checked? Check that the landing gear is fully raised, has no missing parts, crank handle is secure and the support frame is not damaged. If you are applying for a Class A CDL, you will be required to perform a pre-trip inspection in the vehicle you have brought with you for testing. The vehicle must be a combination vehicle, representative of the unit you will be driving and must meet the class weight requirements. If the vehicle is an air brake vehicle, you must first pass the air brake knowledge test. You also must have passed all applicable endorsement knowledge tests that pertain to the vehicle you bring in for testing. 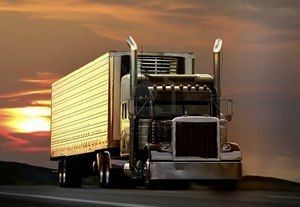 Your test will require an inspection of the areas of the vehicle as instructed by your CDL examiner.